The Romanza Festivale 2017 presents the Aviles Street Art Fair, an outdoor art and music exhibition on historic Aviles Street. The street fair will take place from 4:00 to 8:00 p.m. on Saturday, May 4, 2019. 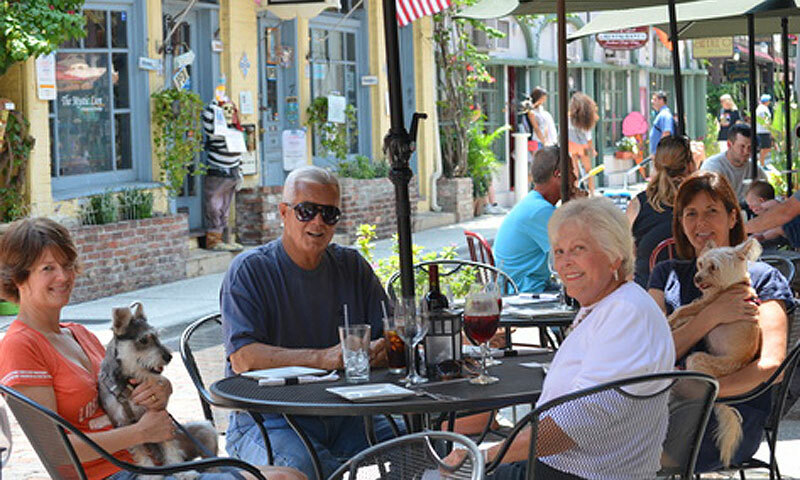 Aviles Street is the heart of St. Augustine's art community, with galleries and sidewalk cafes lining the old brick street. Some of St. Augustine's finest artists work "en plein air" at this event. Several local artists, including Brad Jones and Steven Teller, will be painting at 9 Aviles Street. Local artisans will present their crafts at tables outside the shops, and the restaurants on the Street (La Hernia, Nonna's, Cellar 6, and Peace Pie for ice cream) will be open. The festival includes street entertainment (including giant costumed puppets) and live music with the Integral Latin Jazz Band from 6:00 to 8:00 p.m. The street will be closed to traffic during the event. When: From 4:00 to 8:00 p.m. on Saturday, May 4, 2019. Where: Aviles Street is located off King Street in historic downtown St. Augustine. The Romanza Festivale of Music and the Arts offers two weeks of historical, cultural, and creative events that celebrate all things St. Augustine. From May 3 - 19, 2019, the nation’s oldest city will be jam-packed with music and dance concerts, living history events and historical tours, live theater, art exhibits, and much more. To learn more about the Romanza Festivale 2019 in general and for a rundown of the full two weeks of events, visit here.